There are many different activities described as climbing, hill walking and mountaineering. Many are outdoors activities whilst others take place on indoor climbing walls. Some activities are usually carried out with ropes to help manage the risks, whilst others, such as bouldering and hill walking, are invariably done without ropes. Rock climbing with ropes can be done indoors or outdoors and usually involves two people, but it can be done in a group. The person climbing is tied to a rope controlled by another person. Controlling the rope is called belaying and the person controlling the rope is the belayer. Trad (traditional) climbing is where the first climber (the 'lead') places their own protection on their way up the rock face and their partner (the 'second') removes the protection while they are 'seconding' the route. 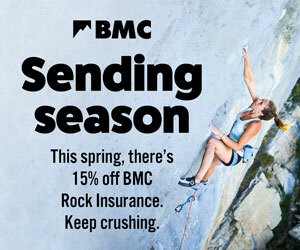 Sport climbing is where fixed protection (primarily bolts) is already placed in the rock for climbers to clip into as they ascend. Soloing is where people climb on their own and usually without a rope. Bouldering is a form of climbing usually practised on small rocks and boulders, or at indoor walls. As the climber doesn't go very high it is often possible to jump back down. Boulderers usually use padded mats to jump down (or fall) onto to reduce impact on landing and to protect the ground from erosion. Bouldering routes are called boulder problems. Ice climbing involves climbing on snow or ice. It is most often done outdoors using ropes and protection systems similar to rock climbing. There are now some specialist indoor venues for this form of climbing. Specialist equipment required includes mountain boots, warm clothing, ice axes, crampons, harness and rope. Competition climbing is a competitive form of climbing done on artificial structures and climbing walls. Hill walking involves walking over mountainous terrain and venturing through exhilarating landscapes with fabulous views. Specialist skills needed include map reading, terrain judgment and navigation. Boots, warm and waterproof clothing are required as the weather in hills and mountains can be inclement and sometimes difficult to predict accurately. Scrambling involves elements of both hill walking and rock climbing. Some scrambles up steep ridges can be very exposed. The steeper the rock, the harder the scramble and obviously the more skills and equipment required. Mountaineering usually involves a combination of walking and scrambling as well as rock and ice climbing in mountainous areas. The BMC Winter Essentials DVD gives useful insights into aspects of hill walking and mountaineering. Mountaineering can be done in Scotland during the British winter and pretty much all year round in the Alps. The Himalayas is also a popular place for mountaineering, where there are still hundreds of unclimbed mountains. Download our Young People booklet – a parent's guide to climbing, hill walking and mountaineering. Read more about climbing outdoors in our guide to Climbing Outside. Young People: Climbing, Hill Walking and Mountaineering is an excellent little BMC guide that sets out what the main activities of climbing, hill walking and mountaineering involve. The booklet is a valuable and useful introduction for all those who want to know more. It is time to Get Active Outdoors. If you want to start hill walking, rock climbing, scrambling or learn winter skills, then check out the subsidised BMC Active Outdoors courses. Suitable for all abilities and levels of experience there is something for everyone. It would be good to explain the whole 'free climbing' thing. As an outdoor instructor when I mention I climb, the most frequently asked question I get is 'do you free climb', it seems it is commonly mistaken for soloing.